How can I allow users to input multiple lines of texts (e.g. a URL) in a single field? Here i want to add one option so that user could Add extra field url according to their need. Waiting for your kind response and reply. Hello @Merowish - Looks like you're using the Short Text Entry (Textbox) for the URL of the Product field. 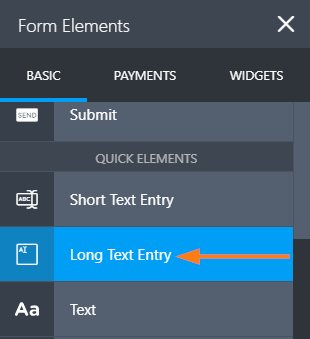 If you want users to add more URLs on that field, you should use the Long Text Entry (Textarea) field instead. This should allow users to add as many URLs as they want, depending on how you would set it up. Thanks for the reply.. but actually i want to say that.. on below that "small text box area" i want to add one option like button "Add More Url" it shows just below that text box area. "Add more url" and then when user click on that " Add more url" there should come another text box area for the user to fill there.. Please help me how to do this? You can add another textbox field in your form and a radio button (single choice) which follows a question to whether add another URL or not. Then create a condition where if the selected choice is yes, the 2nd textbox for URL appears. But I think a faster solution is by using an infinite list widget, or a configurable list widget. This way, you are able to allow users to add more information such as URL without setting conditions. i had used this widget https://widgets.jotform.com/widget/infinite_list as per you suggestion. It works great as i had wanted but here sir i need one help that i want to place "Sub-Label" Text on that just of field. Please help me how to add "Sub-Label" of that element box. waiting for your kind response & reply. Just replace the "Text Here" detail to anything that you wish to have as sub label. If the result is not what you expect, please let us know. Please take note that the CSS codes we provide usually come for a specific purpose and layout. For this reason why the code that I had recommended will not work on a different widget, although they are closely the same. Please let us know if you have questions or if you need assistance. This should expand the width of the textbox. If you have additional questions or if you need assistance, please let us know. Thank you sir for this Guidance for me, Sir now everything is almost fine, here one last small issue i'm facing with " x Remove" button. As the Remove button shows in the same line of the Input fields so that it goes out of the page and this issue is facing on Mobile users just like this screenshot i had taken from my mobile. https://prnt.sc/gvwzh8 you can see that "x Remove" button is not showing on mobile device because it is in same line of Input fields. for this i want to modify little something like this one https://prnt.sc/gvx2s2 here you can see that i want that " x Remove" button on just below the Input fields so that in mobile device it could be seen and easy for user to use it. Please help me for this sir. Been trying to find a way how to compress the height between the add button and the textbox while the add button is hidden but I could nof find a solution as of yet. 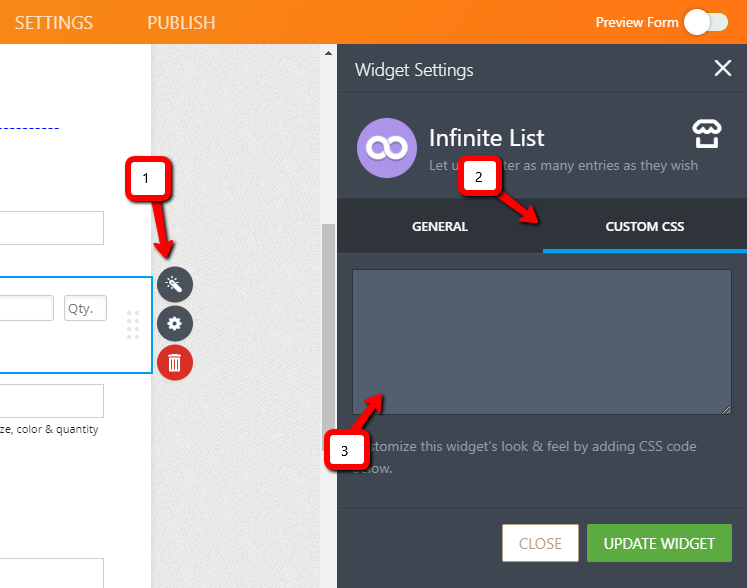 Adjust the width of the input field on your Configurable List Widget so it would fit. Change the width value in px on the previous codes that were given to you by my colleague. And now it's my turn to send him back one email with quotation rate. Is there any tamplte to use as quotation form for replying to the users who had submitted order. Please help me sir i need this helo urgently. 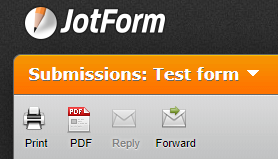 I presume you are responding to the submissions by using the "Reply" or "Forward" button in your Submission Page. You could just simply use your own email provider when replying to your submissions, to configure that please go to Settings and then click Emails. 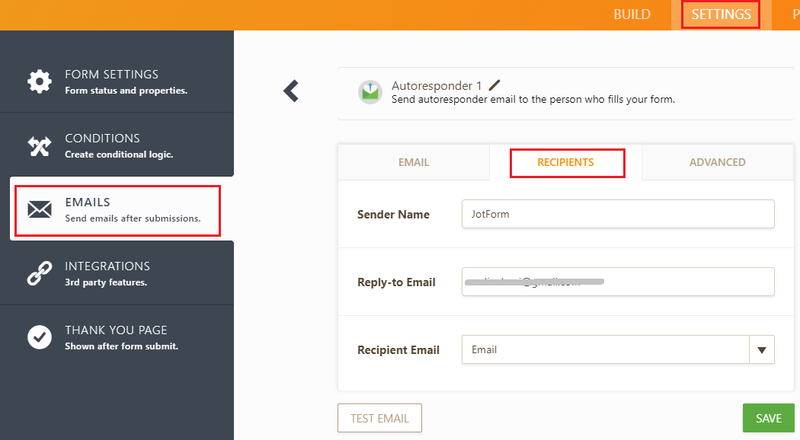 After that click on Recipients and into Reply-To-Email field write your email. In this case clients can reply to your email directly. I hope this helps. Sir i was asking for that sending the email as Invoice Email form. We'll attend to it shortly.